Dr. Sanjay Prasad is a consultant in non-invasive cardiology at the Royal Brompton Hospital and honorary senior lecturer at the National Heart and Lung Institute, Imperial College, London. He studied at Harvard University in the USA from 1991-1993 and at Hospital Cantonal in Geneva in 1994. His areas of expertise include magnetic resonance imaging (MRI); Cardiomyopathy (heart muscle disease) and heart failure and Ischaemic Heart Disease, which causes reduced blood supply to the heart Dr Prasad gives regular talks on the role of cardiac MRI in the evaluation of patients with heart-failure. He has also given presentations on his department?s research into the use of MRI in Cardiomyopathy and heart failure. He is a member of the International Myocarditis Consensus Panel and sits on the Fulbright Selection Committee. Dr Prasad has hosted international meetings on Advances in Cardiac MRI at the National Heart and Lung Institute (NHLI) with Professor Pennell. He also teaches overseas MSc students at both Imperial College and the NHLI. 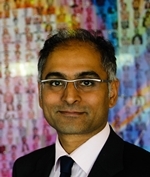 As well as contributing chapters on MRI in heart failure in several books, Dr Prasad is on the editorial board for the Journal of Cardiovascular Magnetic Resonance.